I understand there is a halacha of pas yisrael (Jewish bread). Is it true that all bread in Israel is indeed pas yisrael? Is bread from non-Jews permitted if there is a hechsher? Is the issue of pas yisrael only relevant in Elul or between Rosh Hashanah and Yom Kippur? I believe I heard a rabbi say that during the 10 Days of Penitence we must be strict but there is no need during the year is bread has a good kashrut supervision. RESPONSE: Chazal forbade pastries baked privately by a non-Jew even if all the ingredients and utensils are known to be Kosher, because they saw risk of assimilation and intermarriage could result from partaking in meals together. However, there is no problem with items baked by an irreligious Jew. To determine whether the bread (I use the term bread as it is the literal translation of “pas” akum, but the same Halachos apply to most baked pastries) is considered baked by a Jew or not, the ownership of the bakery is irrelevant, the only significant factor is who physically baked the bread. Even if the non-Jew places the dough in the oven the bread may be considered pas Yisroel if a Jew turned on the oven or even added a minimal amount of fuel to the fire. Even though the Mechaber and Sefardim are machmir (stringent) regarding bishul akum, for bread they rely on adjusting the flame. Shulchan Aruch differentiates between bread baked by a non-Jew privately for his family’s consumption which is called “pas akum” where there is assumed to be a degree of risk of developing a personal relationship and bread baked commercially by a non-Jew primarily for sale. When the bread is produced to be sold and not for the non-Jew’s personal use it is called “pas palter” and is permitted’ when pas Yisroel of comparable quality is unavailable for similar price. True pas akum is almost NEVER permitted. However if the bread belongs to a Jew but is baked by a non-Jew, the heter of pas palter does not apply and the resulting baked goods would be forbidden to eat. This would commonly be the case with a Jewish owned factory, restaurant or catering establishment with non-Jewish workers in the kitchen. If there is insufficient supervision of the kitchen, it is easily conceivable that all of their pastries would be absolutely forbidden to eat. Another practical issue arises with electric convection ovens where the heating element automatically turns off when the door is opened. In this case, even if a Jew was careful to turn on the oven but the non-Jewish worker opened the door to add more food or check on their status before they were fully baked, the action of the Jew has terminated and is no longer relevant, and when the worker closes the door it is the non-Jewish worker’s action relighting the oven and the food will become pas akum! Pas akum applies even to breads that are not appropriate for a royal table; in this aspect it is more stringent than bishul akum. While the Halachos of pas akum apply equally every day of the year, many people who are lenient regarding pas palter the majority of the year when pas Yisroel is unavailable, are more machmir during the Aseres Yemei Teshuva (Ten Days of Penitence) to exert themselves to obtain pas Yisroel. However one who is travelling and has no access to pas Yisroel may eat pas palter even during this time, because it is permitted according to Halacha. Rabbi Peretz Moncharsh learned in the Yeshivos of Philadelphia, Brisk- R Dovid, Mir and Kollel La’asukei Shmaytsa. 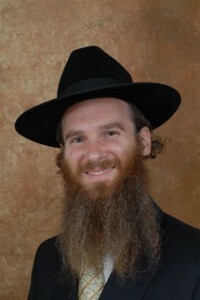 He currently lives in Beitar and is a Moreh Horaah on both the Ashkenazi and Sefardi Batei Horaah as well as the Rosh Kollel of Kollel Shaarei Horaah. Rabbi Moncharsh received Semicha from R’ Zalman Nechemia Goldberg, R’ Yaakov Tufik (the Sefaradi Rav of Beitar) and the Rabbanut. He did shimush by R’ Tufik and by R’ Yitzchok Kaufman. Posted on July 31, 2009 by JKN Israel. This entry was posted in Kashrus Kuestions. Bookmark the permalink. I thought the more important question was, “Is it true that all bread in Israel is indeed pat yisrael?”. There was no answer to this. Knowing the hiring practices in Israel, it would seem that no bread could be eaten by frum Jews. Says who? What difference does it make whether the goyishe palter works for himself, for a fellow goy, or for a yid? He’s still a palter, baking for sale rather than for home consumption, so those who eat it are not going to get to meet his daughters. What kind of nonsense is this? A Jew has participated in the baking; what difference does it make whether his participation was at the beginning or at the end? If he throws a twig onto the fire, it is immediately consumed, and his contribution only lasts a second, and yet it is sufficient to rescue the food from bishul/pas akum. How much more so if he turned on the oven, and it remained on for far more than a second. Milhouse – I would not exactly agree with your “what kind of nonsence is this” comment, and would add that if you look into the halacha you may see that you will surprise yourself. Earlier you question “what difference does it make if the goyishe palter works for himself, for a fellow goy, or for a yid”. Here again, brush up on your Shulchan Aruch and these issues may become increasingly clear to you. Yechiel-admin — Your post would be much more helpful if you’d show us WHERE in Shulchan Aruch to look. As regards the electric ovens, here is what I was taught, and I hope others will find this to be logical: It is true that (the way most of these ovens work) when a non-Jewish worker opens the oven door that shuts the heating element of the oven, and so when he closes the door the heating is restarted as a result of this non-Jew’s action. However, this will be a problem only if the oven was off so long that the heat has gone down to room temperature. If the oven was restarted after a short time, and was still warm from when the Jew turned it on in the morning, the the bread is still being baked by the heat of the non-Jew AND the heat of the Jew, so it is Pas Yisroel no less than if the Jew had merely thrown a match into the oven. The source that dough belonging to a Jew has no heter of palter is Shulchan Aruch YD 112:11. When a Jew adds a twig to the fire, the entire fire is now considered to be a “Jewish fire” for as long as it continues burning. However if the fire went out before the bread was baked to the point of being edible the new fire lit by the non-Jew is assur. There is a certain logic to Keeves’ point when dealing with a stone oven where the heat retained in the walls of the oven is sufficient to continue baking the food by itself, and this seems to be the position of the Gra 112:20. However most Poskim do not follow the Gra’s opinion when the fire has been extinguished, and it is not relevant at all with our ovens where the heat of the walls dissipates rapidly. So the important factor would be “was the oven hot enough to bake the bread to an edible state even had the non-Jew not turned it back on”. In fact, it seems what Keeves was taught is a widespread misconception; I actually heard a senior mashgiach for the OU claim that that is their policy. I asked HaRav Hershel Schachter about it and he agreed with me that it would be a mistake. He promised to look into it and to insure the OU policy does NOT allow this leniency.